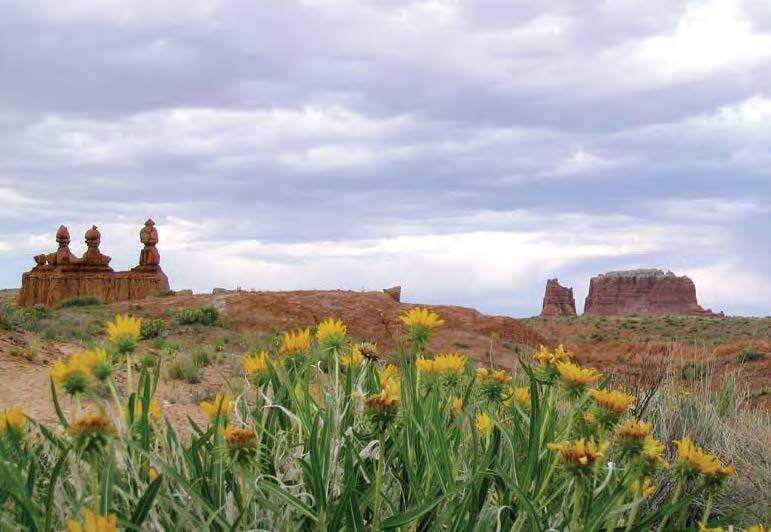 Goblin Valley State Park: Explore the landscape covered with sandstone goblins. Photo by John Good, Utah State Parks. This GeoSights issue features not a single sight but 40 sites across the state. 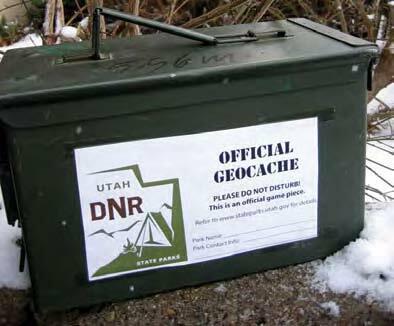 To celebrate 50 years of parks, the Utah Division of State Parks and Recreation has placed geocaches at approximately 40 of their 42 parks. A geocache is a hidden “treasure” found using a Global Positioning System (GPS) receiver and a provided set of coordinates. GPS is a satellite-based navigation system originally intended and designed for the U.S. Military. Now, however, GPS can be used by anyone who works or plays outside, from geologists to sea captains to modern-day treasure hunters. Don’t have a GPS receiver? 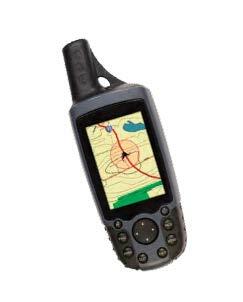 Many of the state parks have GPS units available for check out free of charge (normal park entrance fees must be paid). Contact individual parks for details and availability. Individual geocache locations highlight features of the park they are in. The geocaches are placed in small (11.5”x7”x6”) ammo cans with “50th Anniversary” stickers on one side and “Official Geocache” stickers on the other. The “treasure” contained in these ammo cans includes 50th Anniversary key chains, carabiners, erasers, rubber bracelets, and other assorted goodies. Additionally, a specially minted collectible coin will be randomly placed in State Park geocaches across the state. Visit www.geocaching.com for more information about geocaching and a listing of all State Parks’ geocaches (and thousands of other geocaches located around the globe). 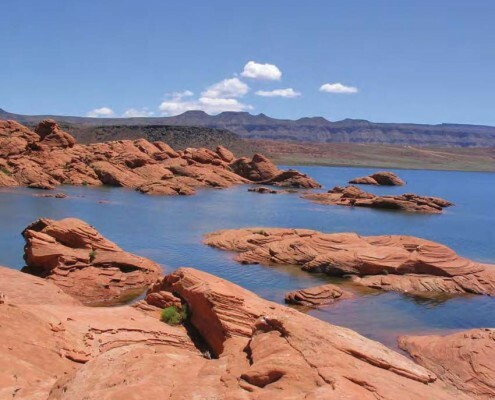 The State Parks’ Web site, www.stateparks.utah.gov, also lists their geocaches on an interactive map. Unlike with other geocaches, park geocachers are not encouraged or expected to place items in these caches. However, visitors are encouraged to post a log of their visit and digital photographs on www.geocaching.com. So what are you waiting for? 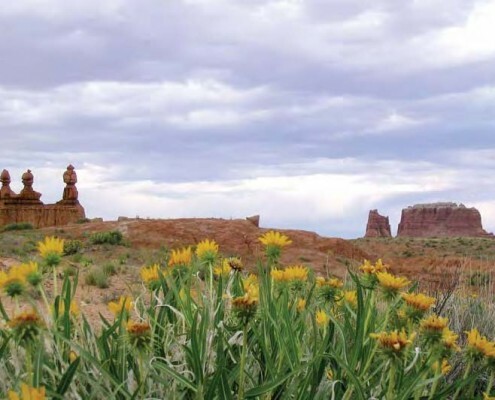 Log on, then head out the door, see some sights, and find some treasure in Utah’s State Parks. 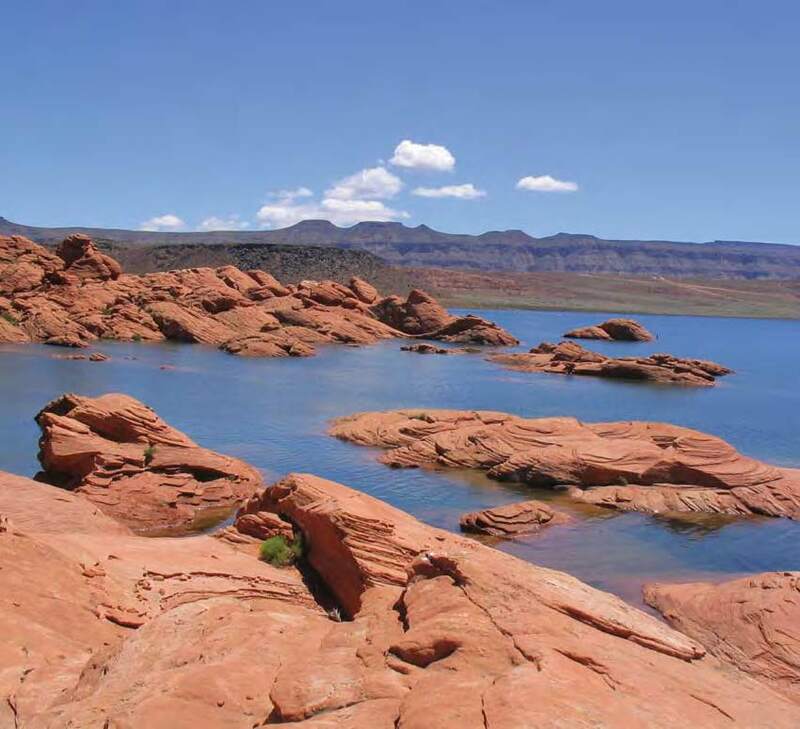 Oh, and check out the geology while you’re there!